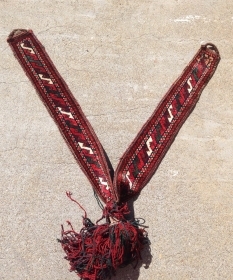 active since November, 21, 2007. 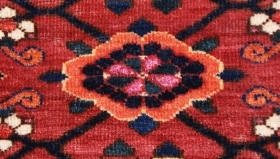 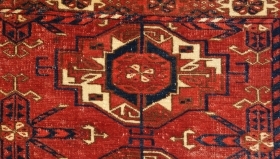 Southwest Persian tribal with a red ground. 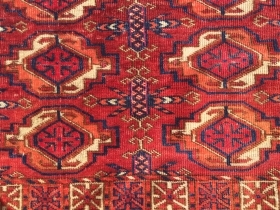 Mid 19th century Tekke chuval beautiful colors and good condition with silk highlight very good shiny Silky wool. 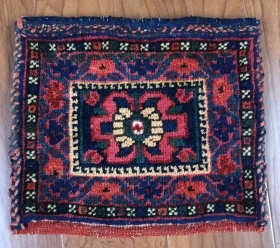 Nice Kurdish salt bag good colors. 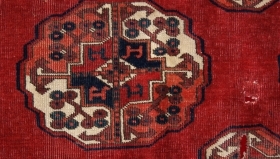 Very nice Tekke chuval with some silk 19th century. 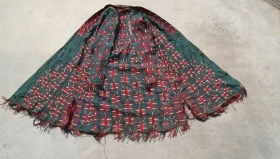 Over all very good condition except half of one Gul is missing. 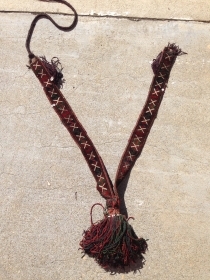 very nice small Afshar bag. 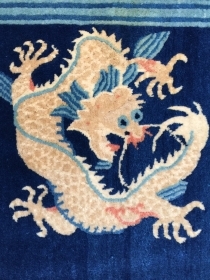 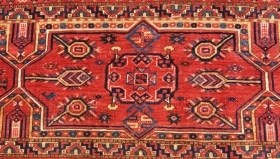 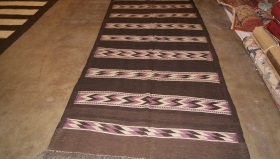 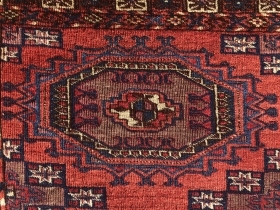 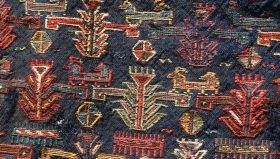 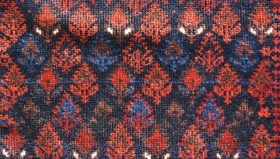 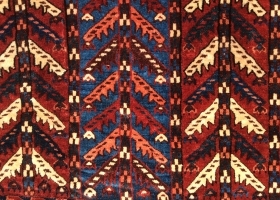 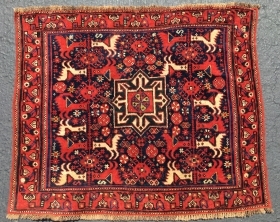 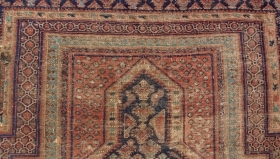 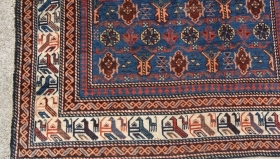 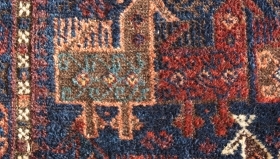 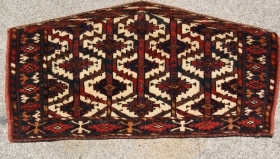 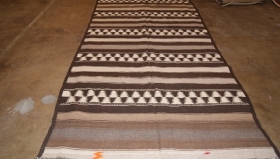 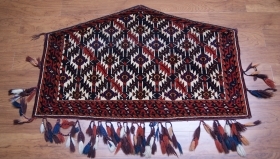 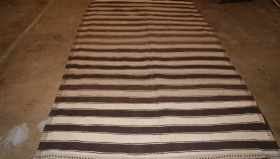 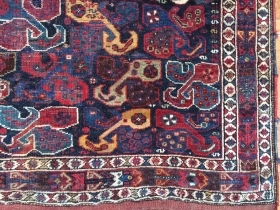 Baluchi trapping from the 1900 all natural colors. 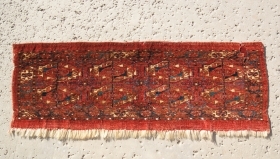 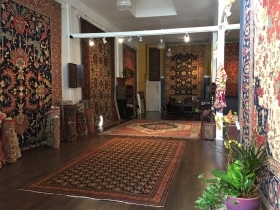 Baluchi Trappings from the 1900 all natural colors. 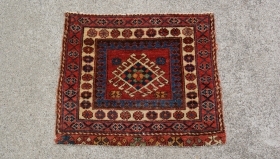 a very nice colorful yomud asmalyk 19th century, very good condition. 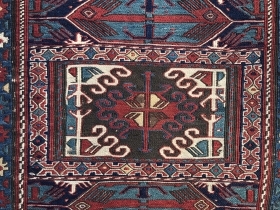 19th century Ersari chuval with slik. 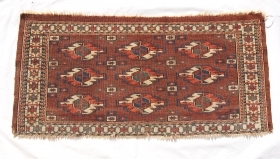 19th century verneh from the caucasus very unusual design. 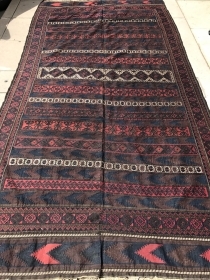 size 2.11x6 ft.
Yomut Mafrash Last quarter of the 19th century very good condition. 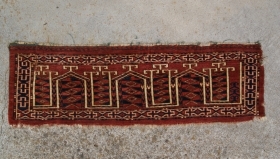 Mid-19th Century Tekke Torba, Size 17x46 inch. 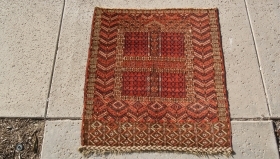 Old Baluche Pray Rug very nice colors but it is worn. 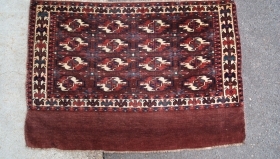 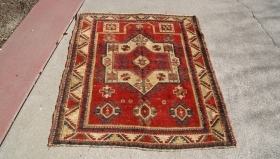 Shervan rug from the 1900 good condition all natural colors, unusual border. 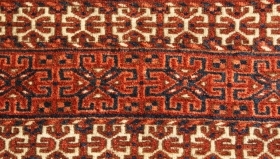 size 4x5.6. 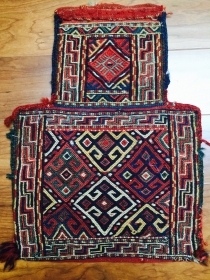 very nice colorful baluchi bag. 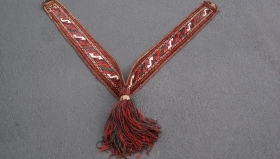 18th century Salor torba and very rare secondary gul. 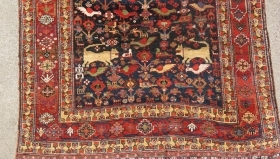 19th Century Green Silk Ground Tekke Chirpy. 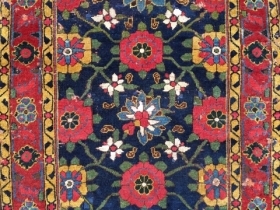 Eight Gul Tekke Torba 19th century good colors. 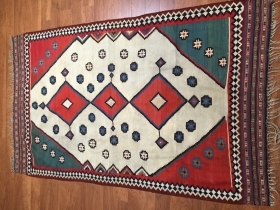 Tekke Ensi 1870 good colors and very good condition. 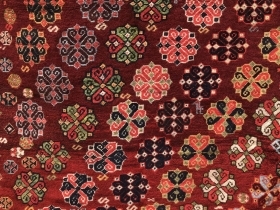 19 century Kizil Ayak Torba Nice Design. 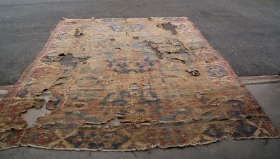 Ersari Chuval 19th century Evanly Low pile no repair very nice colors. 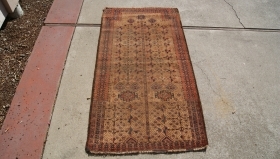 this is very nice yomud chuval first half 19 century. 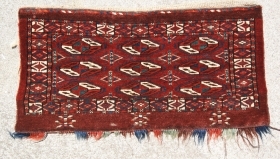 17 century Oushak fragment size 9x11. 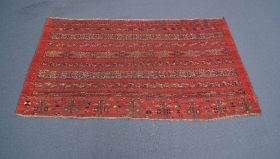 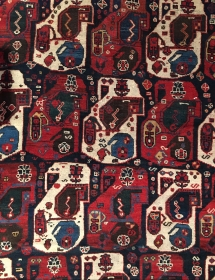 Hazara Kilim From Central Afghanistan size 162x370 from 1930s. 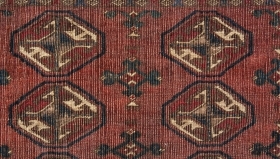 Hazara Kilim From central Afghanistan All Natural Dyes From the 1930s Size 190x377. 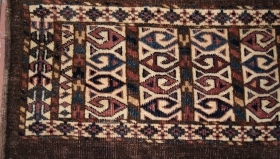 Hazara Kilim From Central Afghanistan All Natural Dyes Size 175x412 from the 1930s.